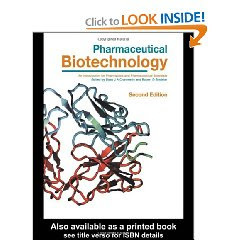 Conceiving an up-to-date pharmaceutical biotechnology textbook that trains next-generation pharmacy students, as well as updating pharmacists and pharmaceutical scientists … is a formidable challenge, and one which the editors … have accomplished to a high standard … . … [Many chapters] contain industrial case-studies of blockbuster drugs, thus giving this textbook an industrial scope that is difficult to find elsewhere. All the chapters are easy to read and well illustrated to aid understanding of the interdisciplinary content. Each chapter is authored by experts in the field and contains a good introductory section and an in-depth discussion of each topic.